In a way, they’re right. The kinds of projects many designers look forward to come with a bottomless budget and deep creative freedom — but that’s never the reality. Budgets have limits. Clients have limits, too. So what does this mean for designers who want to do their best work every day, with every project? Should we hold out for the perfect project and the perfect client? I don’t believe we do. Because creating great work isn’t about the right project and it’s not about the right client. It’s about the right process. With that in mind, here are three ways you can change your design process to move projects from idea to launch faster, smoother, and more successfully. If you’re a designer, the phrase “know your audience” is probably something you’ve heard 10 times… today. But if we’re going to redesign the design process, this is just as important as designing anything else. So who is our audience? That’s easy: it’s the client. The first step in designing a process for your client is to know who they are, how they think, what they’re influenced by, and what circumstances they are in. The leader of your client’s team is going to be the most important audience member because they’re not just the person who makes the final decision. They’re also the person who can derail the entire project at any point. Leaders have a lot going on and a lot to stress about. They know what works and what doesn’t. They’ve learned to not listen to anyone except their gut. They want what they want, how they want it, and they don’t have time to explain it to you. Recently I have been listening to “How I built this with Guy Raz,” a podcast that interviews successful entrepreneurs on the stories behind their businesses. I am constantly surprised to discover how human these incredibly successful people are. Common quotes are, “I had no idea what I was doing,” “I was surprised when it worked,” and “It just kinda happened… I can’t explain it.” In at least every other episode, founders talk about how their best decisions were made from the gut, not by listening to other people — especially not the experts. As a designer, it’s important to respect that knowledge and perspective. The best way to show this respect and gain their approval is to involve them in the process as much as possible. When your client feels they’ve participated in the solution, they will feel committed and connected to it, reducing the possibility of changing their mind later on. When you solve problems together, it means you’re on the same page. They were a part of the process so they were able to hear not only the good ideas, but also the bad ones… making the good one sound that much better. Plus, involving a leader and a client throughout the entire process can be extremely powerful. Between their knowledge of the company and your knowledge of design, you’ll be amazed at the solutions you come up with together. But getting a client, especially the leader, to participate might be easier said than done. Convincing them to give up a day — or even just an hour — to participate in a meeting in person (conference calls do not count) is probably the hardest part of the process. 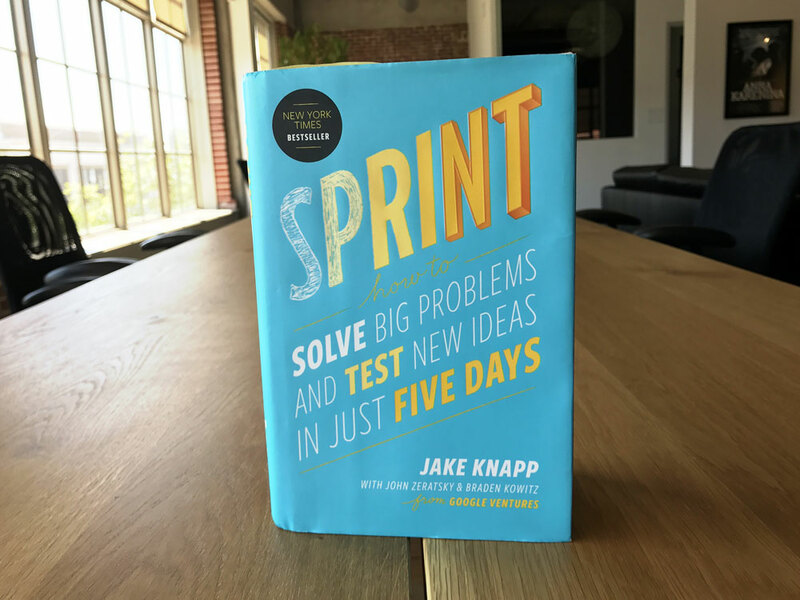 I highly recommend you read Sprint: Solve Big Problems and Test New Ideas in Five Days, which has an entire chapter on this subject. It provides tips and advice on how to convince them their time is worth a short meeting (or a long one, if you can manage it). And once you have them there, it provides rules and guidelines on what to do to achieve the most value. Spoiler alert: it involves taking away their phones. Sprint, written by Google Ventures’ Jake Knapp. Humans have short attention spans and terrible memories, which can be a major problem when it takes over a year to design, build, and launch something. In that short amount of time, trends change, stakeholders change, preferences change, strategies change. It’s all too easy for your stakeholders to forget why they decided on the solution you created for them and change the direction to whatever sounds good that day. I get it. You don’t want to rush and publish something that isn’t perfect. But what if perfect isn’t perfect? What if you spend $120 million to only find out your perfect product is completely unnecessary like Juicero, a $400 juicing machine that essentially produces the same result as human hands? What is perfect and right today won’t necessarily be perfect and right in a year when you publish. The beauty of getting something out there is the ability to collect valuable feedback. Getting feedback means finding the parts of your product that aren’t working and making it even better. It’s called failing faster. There’s a good chance you’ve made some decisions you thought would work and just don’t. Get those mistakes out of the way fast. But to get something out fast, you must design and build fast. Projects seem to take a long time to design and build but it’s not because of the amount of time it takes to design. It’s because of the time spent on daily necessitates and working on multiple projects at once. When you get around to working on a project, you spend too much time tracking down the right people, catching up with where you left off, and re-convincing the people you’ve already convinced that your idea is a good one. It’s not about making more time. It’s about making the time you have count. If you’ve completed the first step and involved your client and leadership, you’re already halfway there. Since your leader was involved in the design process, there is no need to explain it to them, gather feedback, and start the process over. They already know and approve of the direction because they were there when it was designed. Take a good look at your process and really analyze what is adding value. Bring in the right people at the right time and cut out all activities that are redundant or just unnecessary. If you need more help saving time, Sprint is full of more ideas. Why is it that we can obsess over that little insignificant detail but when it comes to the overall strategy, we have no opinion? It seems the tougher the question, the bigger the risk, the less attention it gets. This seems reasonable. Those things are scary. No one wants to be the one that sank the Titanic. This problem is the easiest to solve out of the three. So what’s the easy answer to this problem? User testing. User testing allows you to put your project out there before putting it out there. It’s means getting direct feedback from your intended user. It’s also an extremely great tool for proving your idea works — or doesn’t work. It makes taking risks a lot less scary. Perhaps you have a crazy idea and a safe idea. Test both. Maybe you’ll find gold or maybe you’ll avoid a giant mistake. Either way, you’ll have confidence in the direction you’re taking. Don’t know how to user test? It’s easier than you think. Start by reading this article from InVision. The other answer is to be agile. Learn as you go and update your project when you learn something new. See a mistake or don’t like something? Don’t be afraid to change it. The beauty of digital products is the ability to change something quickly. Take advantage of it. Not all clients are the same. The challenge is always different. All agencies and designers work differently. This article isn’t about the solution to every client and problem; it’s about convincing you there is one. It’s easy to fall into the trap of complaining about projects instead of working to solve the problem. But we’re designers. Solving problems is what we do, so let’s do it.